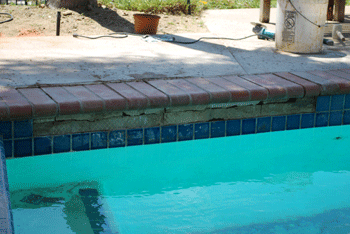 when it comes to this pool tile repair in Penasquitos, it was primarily caused by tree roots. The tree roots grew up between the pool tile and the pool coping, causing pressure to build. Once the pressure became to much, it caused the coping and the pool tile to pop off and upward. This is a very common problem that we find when performing pool tile repair in Peansquitos and other areas of San Diego. It is because most of the time there are either intrusive root formations or that the trees are simply planted to close to the swimming pools. Regardless, we are always able to determine the problem that caused the damage and provide a professional solution for the necessary repairs. 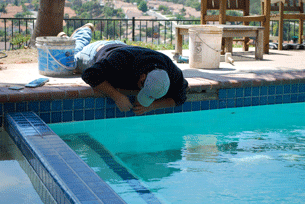 Everything Swimming Pools is a licensed swimming pool contractor that specializes in pool tile repair in Penasquitos and all other areas of San Diego County. If you have a swimming pool, always make sure that when planting keep in mind the type of tree and the way the root structure forms. Tropical plants and trees are usually the safer choices when putting near the swimming pool or spa. When we first saw this pool tile repair in penasquitos, we did not know that it was necessarily caused by tree roots. Once we started to clean the affected area, it was very clear. There were tree roots that have separated the pool coping from the pool tiles where the two meet. Because of this, we needed to remove the affected coping sections so that we could remove the roots. This is so we can make the proper pool tile repairs without having problems with them in the future. Once we have removed the pool coping and cleaned out the affected area of tree roots, we can perfrom the necessary pool coping repair. Once those are set up, we can then start working on the pool tile repairs. That consists of cleaning the pool tiles surface, making sure there is good adhesion when setting the pool tiles. Once that is complete, we will start mixing the thin set to attach the tiles. Due to the pool tiles not all being broken and that the customer had extras, we did not have to purchase anymore tile for the job. If there are broken pool tiles and you do not have any replacements, we will need to purchase what is needed. That means not always will there be a perfect match unless your pool tiles are a very common variety. So always keep that in mind if you have tiles falling off, try to keep them. 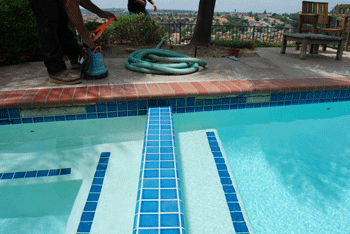 Now we can start setting this pool tile repair in Penasquitos. This consists of floating a new bed of thin set onto the surface of the pool and to the back of the pool tile. You never want to use silicone or any other similar products, they are only going to be a short term fix. They will fail again and usually very quickly or just not look right. Once we have set a bed of thin set, we can start attaching the pool tile back onto the section they fell off of. Once the pool tile repair is all set in place, we will give it some time to set up before grouting everything. If you do not wait for the thin set to set up, you may loosen the pool tiles causing premature failure. After we have cleaned up all of the thin set and made sure that the pool tiles are set up, we can start prepping for grout. We always use the same color grout that you have on the rest of your swimming pool. Not always will it look exactly the same due to the age of the old grout but, it gives it the closest look possible. When grouting this pool tile repair in Penasquitos, we were sure to not just grout the pool tile but we also needed to grout the gap between the pool coping and pool tile. 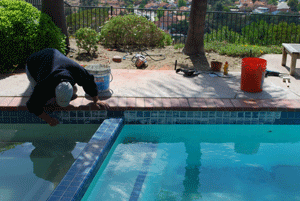 Below we will show you some more images of the grouting process on this pool tile repair in Penasquitos. If done correctly, your pool tile should last for many more years. There are always unforeseen issues and that is why we do everything properly the first time to ensure the best possible outcome, every time. 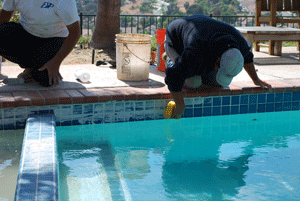 If you have a pool tile repair in Penasquitos or any other part of San Diego, Everything Swimming Pools can help. 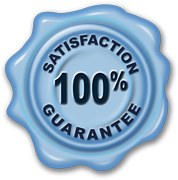 We have trained professionals that take pride in the work they perform. 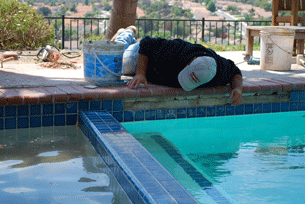 We are a company that specializes in pool tile repairs along with many other pool restoration services. 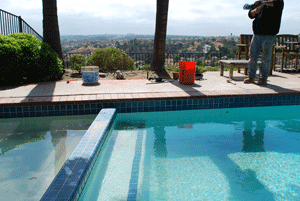 We also provide pool remodeling services for all of San Diego. If the pool tile repair is large and many areas need to be repaired, we may recommend that you install all new pool tile. We will never try to sell you on this unless the repairs are extensive and the tiles are cracked or damaged. It can become a better cost saving alternative depending on the overall size and scope of pool tile repairs needed. 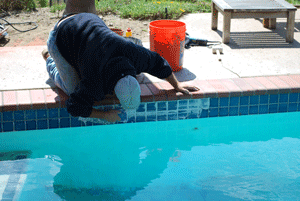 If you have any questions or would like to schedule a pool tile repair estimate, we can help. Give us a call or simply fill out our contact form and we will contact you.